In celebration of the 60th Anniversary of Alvin Ailey American Dance Theater, this short multimedia piece will be presented at the beginning of all performances (except Tues Dec 11) during the Company's 2018 New York City Center season. Created by Robert Battle and members of Ailey's creative team in collaboration with Bob Bonniol and Caryl Glaab of MODE Studios, Inc., this is a celebration of the continual gift of the late Alvin Ailey's presence in our hearts, minds, and stages. 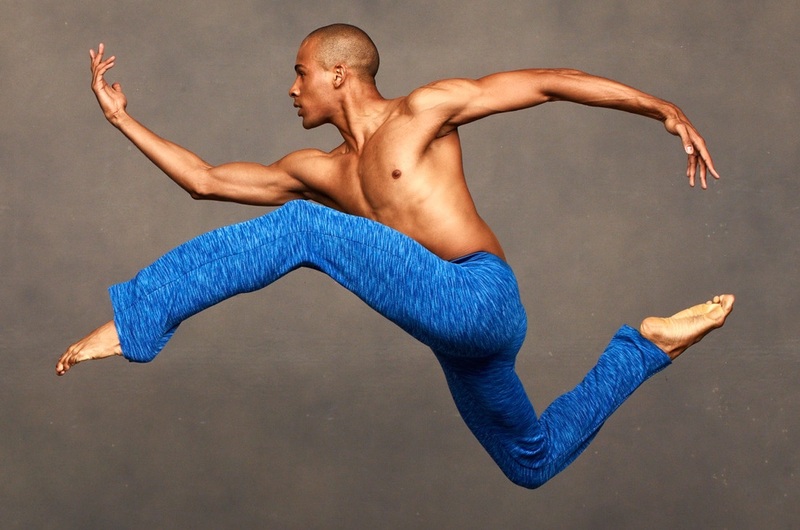 This piece brings the voice and presence of Mr. Ailey back to the City Center stage. The Wall Street Journal 11/27/18 feature story: "Ailey Dance Troupe Celebrates Its Founder's Footwork"
When the Alvin Ailey American Dance Theater company takes to the stage of New York City Center for the opening of its 60th anniversary on Wednesday night, it will have an unexpected guest of sorts. The company founder, who died in 1989 at the age of 58, won’t be there physically, of course. Instead, the ensemble will honor him with a brief multimedia piece, “Becoming Ailey,” which was made for the occasion. It shows historic footage of Ailey dancing and includes sound bites of the choreographer talking about himself and his artistic vision. “I create movement,” Ailey says in the multimedia piece. But in some ways, this tribute is a departure for the Ailey company, which has often chosen not to shine a spotlight on its founder, in keeping with Ailey’s own ideal. Even as he built the foremost American company rooted in the black experience and created its signature body of works, from Revelations to Cry, the choreographer aimed to bring more attention to his dancers than to himself, with one of his company members, Judith Jamison, succeeding him as artistic director. And unlike many founders of modern dance companies, Ailey welcomed other choreographers into the fold. Now, the company, which has always performed Ailey’s works throughout its six-decade history, is thinking about how to make more of its namesake. Ailey officials say the effort to draw attention to the founding choreographer comes largely from a realization that there is a generation of dance patrons who recognize the man’s name, but little else. “Half of the audience may not know what he looked like, what he sounded like,” said Masazumi Chaya, the company’s associate artistic director, who joined the troupe in 1972 as a dancer. At the same time, others connected to the company say the time is right to call attention to Ailey because they see parallels between the America of today and the America in which the choreographer founded his group 60 years ago. As a black dancer trying to make his way during the dawn of the civil-rights movement, Ailey faced many challenges. Today, the obstacles are still there for individuals of color, said [Rennie] Harris, [a] black choreographer featured in the 60th anniversary season. And Ailey “is still the beacon,” he added.